It has been an eventful year for our Calgary Western lowland gorilla troop- full of highs and lows for our keepers and our zoo family. We mourned the loss of Kakinga, the troop’s patriarch, to age related illness, and have been assisting older female Zuri with her ongoing recovery from a bacterial infection. Those lows contrasted with the wonderful news of welcoming a new birth with baby Kimani, who is the first gorilla to be born at the zoo in eight years. 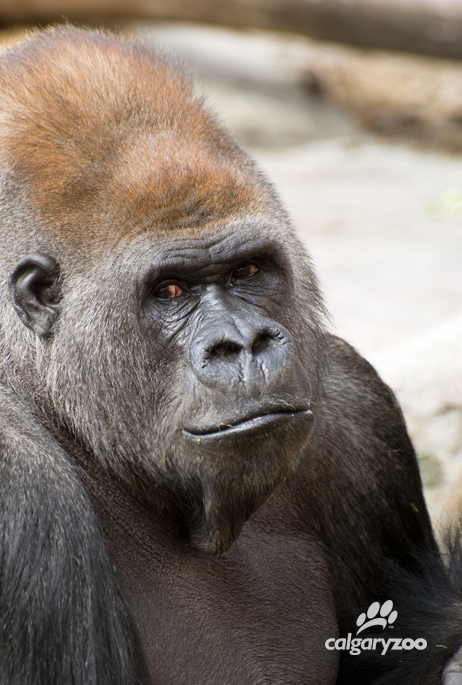 With only about 350 western lowland gorillas in the North American captive population, every gorilla matters. 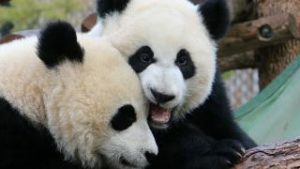 Wild populations are decreasing at incredible rates and with more than 80 per cent lost in just three generations, we need to protect every one of these critically endangered animals. Our last gorilla update was in May, so we think it’s time for round two! How is baby Kimani doing? Our littlest western lowland gorilla took Calgary by storm earlier this year when she was born on March 9, 2016. A baby produced through the Species Survival Plan (SSP) match-up between mother Kioja and the late Kakinga, Kimani’s genetics are a great contribution to the endangered gorilla population. As the first gorilla baby in eight years, her presence in the troop is not only exciting for our visitors and staff, but for the troop members as well. Little Kimani is starting to become more active, and actively grabbing on to her mom and her aunts. Members like Yewande, who was the most recent baby until Kimani arrived, are learning to adjust to the baby’s presence. Yewande was curious and mischievous in the beginning, but seems to have come to realize that she is no longer the baby of the group, and has accepted Kimani. As Kimani grows and starts to play more, we hope they will become great playmates. Also, don’t be alarmed if you see the little Kimani with the wrong mum: Dossi, Kioja’s half-sister, is also stepping up and baby-sitting many hours of the day, which is great mothering practice for her. Little Kimani is exactly that- little. She was born small and isn’t gaining weight quick enough, so keepers have been actively monitoring her growth, and giving her supplemental feedings daily. While she is still very tiny, and there are remaining concerns over her, the team is seeing gradual progress. 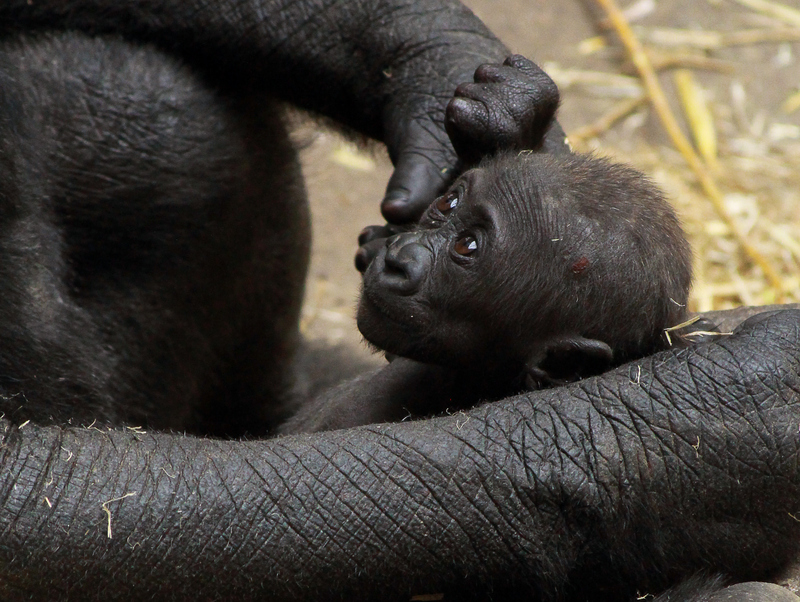 She has become more alert and bright, clings well to her mother Kioja and auntie Dossi, and is even starting to crawl! If you’re getting caught up with the news, eldest female Zuri had to have emergency surgery for a bacterial infection back in April of 2016. She has been slowly improving, and has recently shown some much needed weight gain and an increased appetite. The zoo gorilla team is still tracking the calories that she eats and are offering her high calorie food items and treats, and offering her food pre-cooked. Zuri’s meals are often in small pieces to make ingestion and digestion easier, to which she has been responding well. Zuri is still under treatment, and our vet team is still closely involved. We are far from feeding her a normal gorilla diet, but she is more active and even playful at times with her daughter Yewande, so we are pleased with the progress. What are the troop dynamics like without silverback Kakinga? 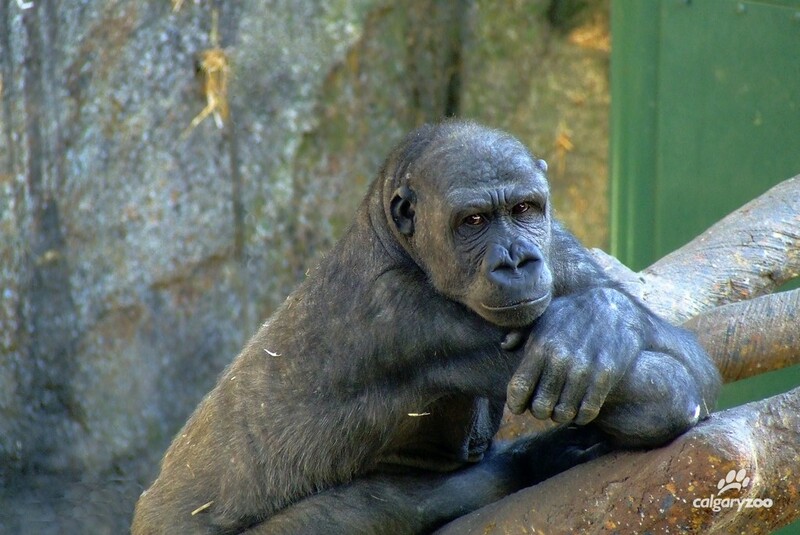 The silverback in a gorilla troop is an important figure who helps guide daily interactions between troop members. Without this leader there are some days where our females are relaxed and calm, and on other days there can be a lot of tension and aggression in the group, with clear social fractures and stress. These conflicts would not have been accepted by a silverback, and would have been curbed by Kakinga. Without him around, our keepers try their best to ensure that space is always available, if individual gorillas would like quiet time away from each other. The zookeepers will also separate certain gorillas if necessary. Overall, it is a balance to try to keep the girls calm and monitor their interactions together. As it is a complicated process to bring in another silverback (and one that could take years), our team is taking these challenges day-by-day. 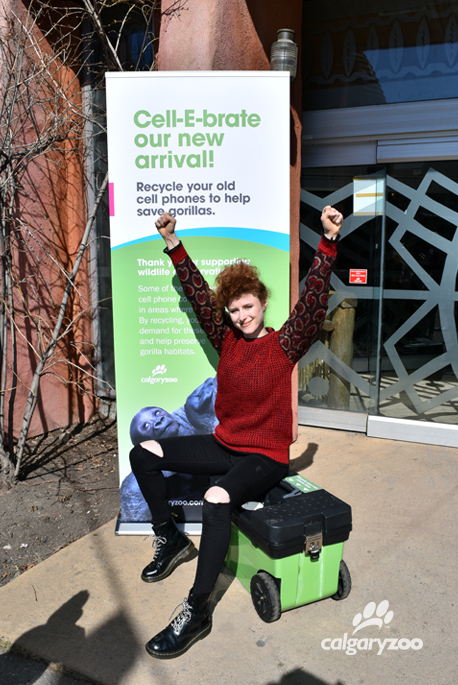 Here for recycling- Kiesza chats with a crowd of zoo visitors about the cell phone recycling program. Find the bin in the TransAlta Rainforest! Stay tuned for more gorilla troop updates this year as we watch this family continue to grow and form new bonds.